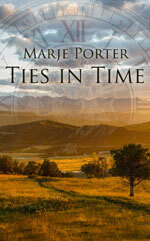 Marje Porter writes what she lives - with a little embellishment for flair. She married the cowboy of her dreams, a fifth generation rancher and began a ranching lifestyle in the west. Life’s trails have led them from Colorado to the high deserts of Nevada and across the country to the rolling hills of Pennsylvania. A ranching lifestyle is based on western heritage, legacies, logic, manners and ways to get a job done, much like the settling of the west in her stories. The old west still prevails in today’s foundation of societies and cultures. 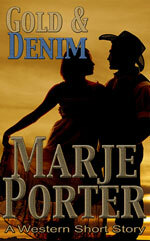 Most of the time you will find Marje at home with her cowboy in Colorado. Their place is surrounded by mountains with always one too many horses, cats that come and go, wild critters, and a small Yorkie to watch over it all. Not far away, are the four kids they raised who have blessed them with nine grandkids. Life is full with never a dull moment that gives a twist to a new scene in life or in storytelling. In the midst of the mountains, she finds inspiration in the love and experiences she lives to write stories of men and women who settled this great country. Whether riding, sitting by a campfire or looking across a mist-covered mountain, if you listen, you can hear the old west spirit echoing across the land.